"In the delta, water is boss, change is the only constant, and creation and destruction exist side by side." The Peace-Athabasca Delta in northern Alberta is a globally significant wetland that lies within one of the largest unfragmented landscapes in North America. Arguably the world's largest boreal inland delta, it is renowned for its biological productivity and is a central feature of a UNESCO World Heritage Site. Yet the delta and its indigenous cultures lie downstream of Alberta's bitumen sands, whose exploitation comprises one of the largest industrial projects in the world. 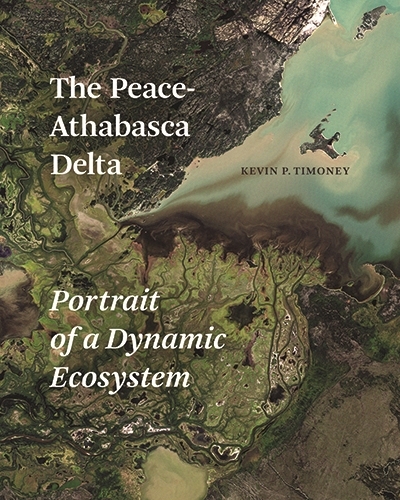 Kevin Timoney provides an authoritative synthesis of the science and history of the delta, describing its ecology, unraveling its millennia-long history, and addressing its uncertain future. Scientists, students, leaders in the energy sector, government officials and policy makers, and conscientious citizens everywhere should read this lively work. Kevin Timoney, ecologist, researcher, teacher, and writer, is committed to solving complex environmental and ecological problems. He has devoted the past 20 years to studying the ecology and dynamics of the Peace-Athabasca Delta. He lives in Ardrossan, Alberta.